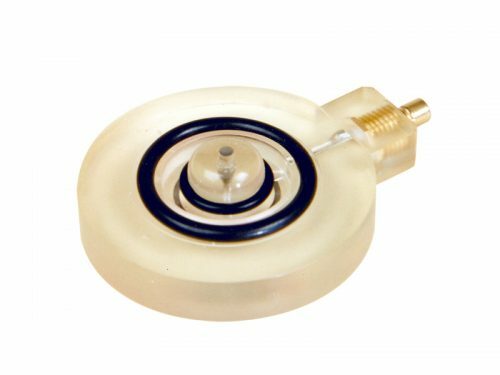 The Hansatech Instruments oxygen electrode disc is a specialised form of electrochemical cell known as a Clark-type polarographic sensor which comprises a resin bonded central platinum cathode and a concentric silver anode. 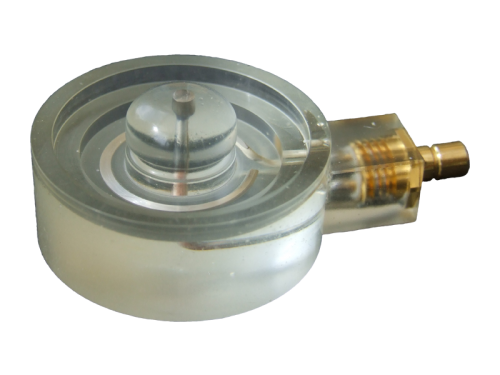 During measurements, the anode and cathode are linked by a 50% saturated potassium chloride (KCl) electrolyte solution. The electrolyte forms a bridge between the 2 electrode elements via the aid of a fine paper wick which is applied to the electrode disc during the preparation process along with a fine layer of PTFE membrane which is selectively permeable to oxygen molecules. Both are held in place with an O-ring.